In 2013, global authorities, such as the European Union (EU), began to take note of the startling Danish Fashion Institution claim that the fashion industry is one of the world’s worst polluters, second only to oil. 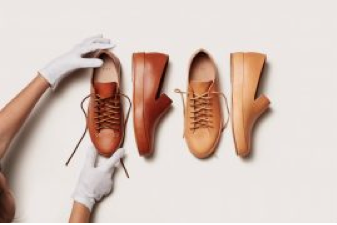 Designs from hand-made, eco-friendly, footwear label, FEIT. (Photo: supplied by FEIT). This unfavourable title was awarded due to the harmful chemicals used during the cultivation of materials, the toxic waste that remains after production, the levels of water wastage and general overconsumption resulting in health hazards for textile workers and consumers. Nowadays, while the status of fashion’s environmental impact is yet to be updated, the situation still remains bleak. According to Green Cross Switzerland and Pure Earth, pesticides, such as the ones used in the cultivation of cotton, still remain one of the world’s top six pollutants. Furthermore, due to the demands of fast-fashion, that seeks an endless stream of disposable garments at low prices, experts predict that this worrying trend will continue. Nonetheless, despite challenges, several labels are taking an initiative to end waste and create sustainability fashion’s latest must-have item. (Photo by Kimberly White/Getty Images for Levi’s). 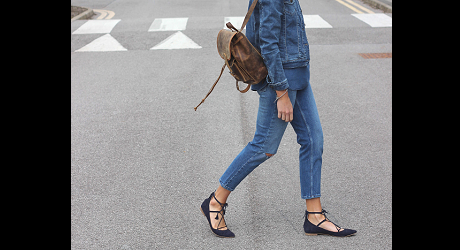 In 2007, and again in 2015, Levi Strauss & Co. conducted a lifecycle assessment of a pair of Levi’s 501 jeans. Since the assessment, water waste has become a key concern for the company. “A pair of Levi’s uses nearly 1,000 gallons of water in its entire life cycle, from growing the cotton to consumer care,” Kobori says. The company adopted “Water<Less” finishing techniques which reduced the amount of water used in manufacturing a pair of jeans by up to 96%. Pictured: Tull and Josh Price , designers and co-founders of sustainable footwear label FEIT (Photo: supplied by FEIT). For Tull Price, co-founder and designer of New York-based footwear label,FEIT, a fear of losing a connection with our planet spurred the sustainability ethos that rests at the core of their label. With this in mind, the company adhere to strict policies of hand-made footwear, who’s materials are outsourced with sustainability on the mind. The label’s leathers are developed with a select group of small, family-owned tanneries throughout Europe that focuses on traditional, metal-free vegetable tanning. Burton’s ski slope wear is of the highest ethical standard (Photo: supplied by Burton). Climate change and its impact on the slopes has been a key concern for snowboard manufacturer, Burton. That said, Burton’s approach to sustainability sees the company investing in technology, such as Life Cycle Assessment (LCA) software, to find out exactly what the highest environmental impact of their products are. They’re also committed to obtaining a bluesign seal of approval for all their soft goods. Bluesign is the highest independent standard available that guarantees products are made with safe chemicals and materials, don’t waste resources, or create air or water pollution. In May, Marimekko took part in the Copenhagen Fashion Summit Design Challenge, one of the world’s leading events on sustainable fashion. They were among the three brands awarded for creating a sustainable wardrobe. They have an in-house textile printing factory at their headquarters in Helsinki, which prints more than a million metres of fabric annually and assures everything, from their cotton supply to their dye, is ethically-sourced. To them, “throwaway-ism” is a major concern. Their ethos has paid off, with many of Marimekko’s older collections becoming collectables. Their second-hand garments are in high demand. “We want to make sure that the time, energy and resources that go into producing a collection lead to the longevity of the final product and that our own production has a minimal impact on the environment,” Soisalo says.